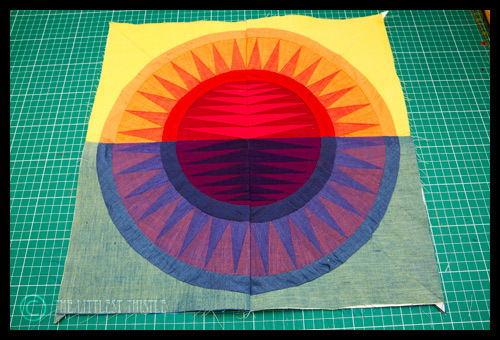 Here is the seventh week's installment for the New York Beauty Quilt Along project! 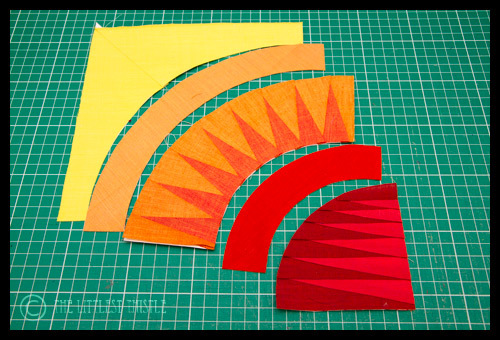 The seventh block in the series, Block 3, is being done by Katy of The Littlest Thistle. Anywho, today I'm going to show you how to make block 3 from Ula's collection of New York Beauties using Oakshott's sunrise fat eighth bundle (to make this I needed a fat 16th at most of each colour you see in the tutorial)." 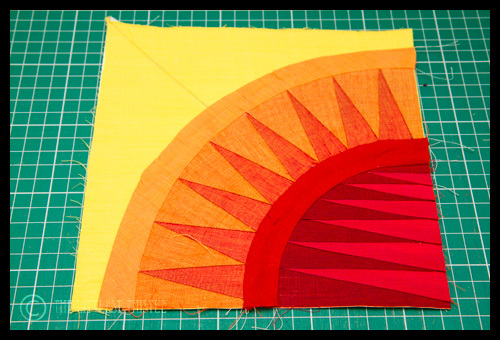 Take a look at the article and find step-by-step instructions on how to piece the block together. 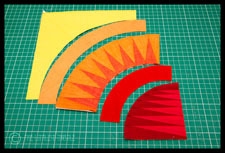 This week Katy demonstrates a great foundation technique for paper piecing! 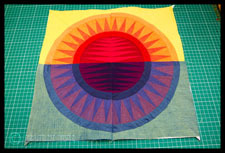 Be sure to look back next week for the eighth in the series, Block 4, from Lee at Freshly Pieced. If you missed last week's post click here for Block 6 by Amy of Sukie Don't You Know My Name? Katy is a crafter, a paper-piecing quilter, and a proud member of the Guild of Master Bear Crafters. She resides in the UK and has been featured on Sew Happy Geek and The Name Game.